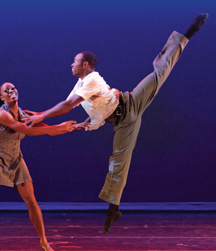 There is nothing better to refresh the soul than a performance by the Dayton Contemporary Dance Company (DCDC). I’ve been covering the group for a very long time, since my days as a television reporter. They were always gracious enough to perform a number or two during rehearsal for our cameras to get some footage to include in that night&apos;s evening newscast. I remember after watching them perform how exhausting it was. No, not for the dancers, but rather for me. Just observing made me want to go lay down for a nap. 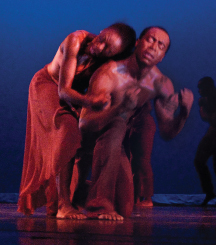 Founded in 1968 by Dayton, Ohio native, Jeraldyne Blunden, DCDC is the oldest modern dance company in Ohio and one of the largest companies of its kind between Chicago and New York City. DCDC has won national and international acclaim and is renowned for powerful, artistic performances, a diverse repertoire of works by world class choreographers, and excellence in educational programming. Since the late 80’s, DCDC has toured to almost every state in the union and has also traveled internationally to Russia, Germany, France, Poland, Korea, Bermuda, Canada and Chile. Now, that’s pretty big in my book and we’re blessed to have this world class organization right here in Dayton. Although founder Jeraldyne Blunden is no longer with us, her legacy lives on - as DCDC continues to present world-class performance, reaching deep into the community beyond borders and uniting a highly diverse demographic in the Miami Valley community. But please, get plenty of rest before you experience a performance, trust me. Please Note: The Dayton CVB has compensated me to share my thoughts on the Dayton Contemporary Dance Company.